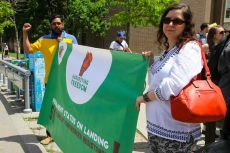 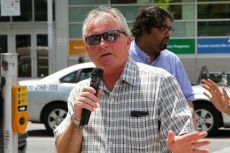 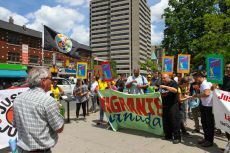 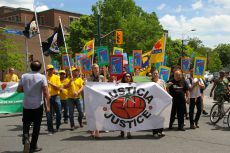 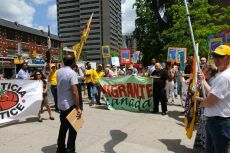 Toronto – June 7, 2016 – UFCW Canada activists and social justice allies recently rallied in Toronto to defend the rights of migrant workers in Canada. 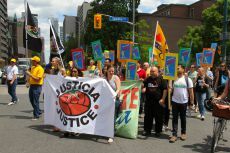 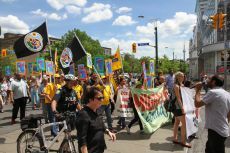 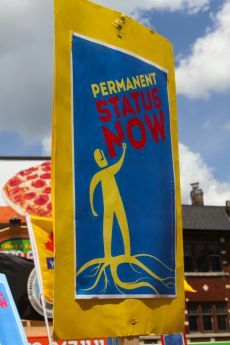 The Toronto rally was one of several demonstrations across the country hosted by the Coalition for Migrant Work Rights Canada (CMWRC), and the Migrant Workers Alliance for Change (MWAC). 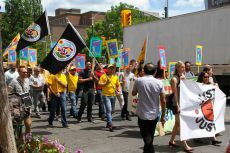 Activists were demanding that the rights and voices of migrant workers in Canada not be excluded from the Trudeau government's review of the Temporary Foreign Worker Program (TFWP). 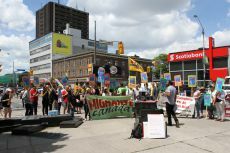 Activists also called on the government to take action and introduce regulations to stop the abuse of workers who come to Canada through the TFWP. 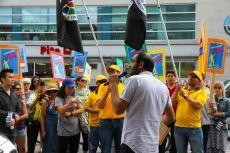 They also demanded that migrant workers not be tied to a single employer, and for the government to implement a pathway to permanent residency for migrant and temporary foreign workers, ideally upon arrival. 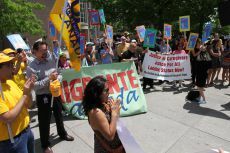 "We're here today because we want to ensure that the rights and dignities of migrant workers don't get left behind in the review process," says Stan Raper, the National Coordinator for the Agriculture Workers Alliance (AWA). 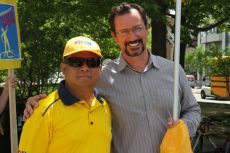 "Migrant workers make a tremendous contribution to the community, and we must make sure that fairness is not forgotten." 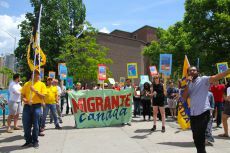 Over the past three decades, UFCW Canada and UFCW Canada-led initiatives have assisted thousands of migrant agriculture workers to enforce their current legal rights and entitlements while standing with them to improve their circumstances.